When the F.B.I. met with the family members of Daniel Stein, a 71-year-old who was killed at the Tree of Life synagogue, they told officials they did not want Mr. Trump to visit. Mr. Trump brought a contingent of administration officials including Melania Trump, the first lady, Ms. Sanders, and Steven Mnuchin, the Treasury secretary, who is Jewish. But when it comes to a more sustained response to the shooting from the White House, people will be looking to Ms. Trump and Mr. Kushner. This is particularly true as the president is expected to return immediately to his midterm agenda, which includes sending troops to the southwest border and embarking on 11 political rallies in the days before the elections. Ron Klein, a former Florida congressman and the founder of the Jewish Democratic Council of America, said that he was skeptical that Mr. Trump’s daughter and son-in-law could do much to influence the president’s behavior beyond prompting him to make a somber visit. “I’ve never accepted the notion that just because Donald Trump has Jewish family members that it makes him any more sympathetic to Jewish interests,” Mr. Klein said. 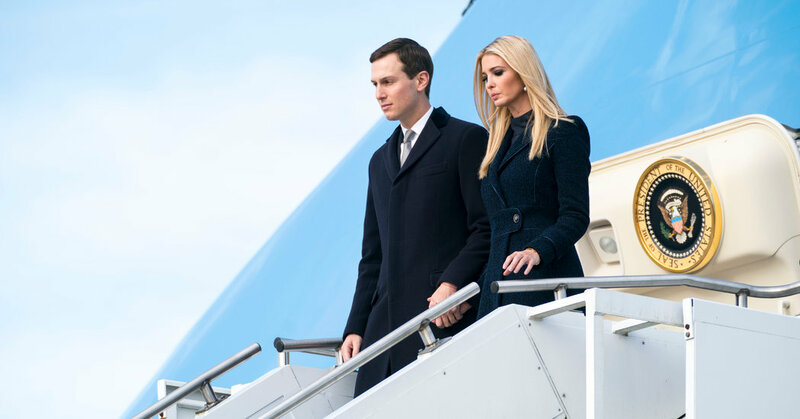 But Matthew Brooks, the executive director of the Republican Jewish Coalition, said that the expectations demanded of Ms. Trump and Mr. Kushner were outsized, and the criticism of them simply unfair.